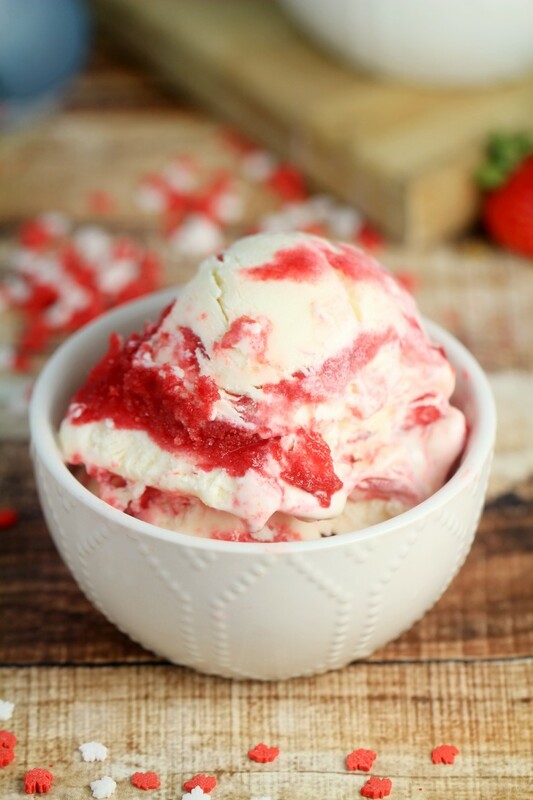 Strawberry Jell-O Swirl Ice Cream - Frugal Mom Eh! 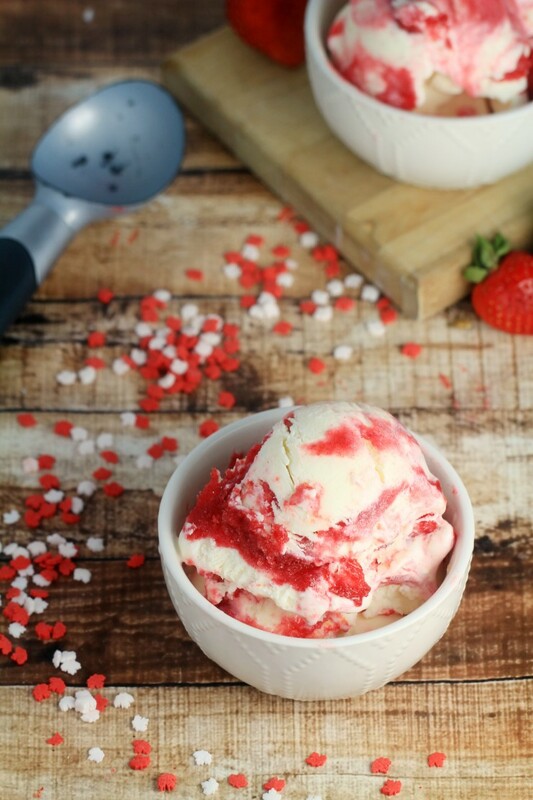 Kids will love this super easy to make, no churn Strawberry Jell-O Swirl Ice Cream recipe. It’s super fun and bright, plus full of fruity swirls of flavour! 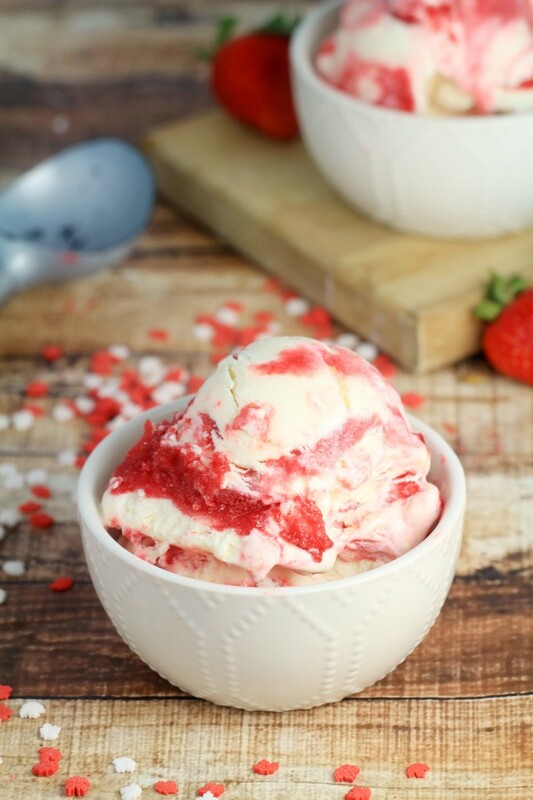 You can even switch up the flavours, like I did in the original recipe for Jell-O Swirl Ice Cream found on my food blog, Life Love Liz. 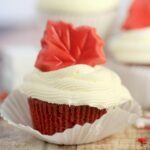 It also makes for a fun patriotic treat on Canada Day too! 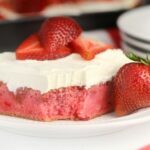 Try swapping in Cherry or Raspberry Jell-O for a similar look with a different flavour. 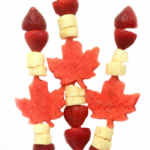 You can even garnish with the super adorable maple leaf quins found at the dollar store, although the red and white already looks pretty good on its own! Beat in condensed milk until well blended. Spread about 1/5 of cream mixture in loaf pan. Top with 1/2 of gelatin powder package. Top with another 1/5 of cream mixture. Top with 1/2 of gelatin powder powder. Top with remaining of cream mixture. Place in freezer covered with tin foil for at least 5 hours befire serving. 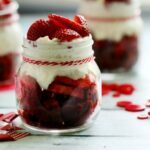 I was really surprised to see how easy this is to make, I’m going to have to give it a try!! Just had to pop back and say how much we enjoyed this ice cream!